The algae control devices from LG Sonic emit specific ultrasonic parameters in order to control harmful algal blooms in irrigation reservoirs. Water used for irrigation can contain high levels of nutrients, some of these nutrients are beneficial for the plants watered, but can also lead to extensive algal growth. Algae in irrigation reservoirs can clog the irrigation system and can also be spread over the irrigated area. In addition, some types of fungus, also present in these waters, can be harmful for the plants grown. The LG Sonic system eliminates up to 90% of the current algae and prevents the growth of new algae. Reduce expensive and environmentally unfriendly chemicals. Safe solution for fish, plants, zooplankton, and insects which has been tested by various universities and research institutes. Prevent clogging of filters, drip installation, and nozzles. The products are developed in collaboration with several renowned universities and research institutes. Change the ultrasonic program according the water conditions, type of algae, and type application. Prevents the growth of new algae, even in tanks with a low retention time. Can be deployed quickly and easily without the need for a crane. The system is easily accessible for maintenance while deployed. MPC-Buoy is modular units that is easy to assemble and install. Because the construction is light, you only need a small boat to drag the device to the center of the lake, where the unit can be installed and moored. The LG Sonic e-line has a range up to 200 meters and can be installed in the pond itself. The device can be connected with a cable to a power outlet or can work autonomously on a solar-powered system. 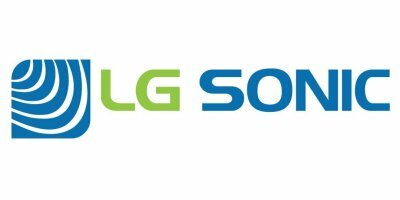 LG Sonic’s ultrasound technology reduces algae up to 90% and prevents the growth of new algae. The environmentally friendly ultrasonic sound waves provide a long term solution for a healthy ecosystem.